So far, we have published 165 ASP.NET tutorials and articles, which have been read by over 23875940 (Twenty Three Million Eight Hundred Seventy Five Thousand Nine Hundred Forty) developers and architects. Abstract: Learn how to handle Model level error messages which occur in ASP.NET Web API action methods that has been consumed using RestSharp. Abstract: Lifecycle of an ASP.NET Page during its first request, as well as during Postback. Abstract: ASP.NET WebHooks is the implementation of WebHooks in the context of ASP.NET. In this article, we will see how this feature can be used to receive WebHooks exposed by Github. Abstract: ASP.NET Core is a redesign of ASP.NET. We will look at the ASP.NET Core platform architecture and some of the most essential ASP.NET Core components. Abstract: Using Visual Studio Code and Yeoman Generator to create an ASP.NET 5 application. 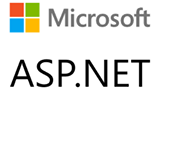 Abstract: In this article, we will build an ASP.NET Web API using MVC 6. In earlier versions of ASP.NET, Web API was provided as a separate Web API framework, but going forward in the ASP.NET 5 release, Web API is merged with MVC, termed as MVC 6. Abstract: The HTTP Client class provides useful methods to call an ASP.NET Web API service asynchronously from the managed clients like WPF or ASP.NET MVC. We will explore this class with some examples. Abstract: Custom action filter in ASP.NET Web API saves valuable server resources by validating the request even before it reaches the action method. This article demonstrates how to relay model validation error messages to client-side calls. Abstract: Use Custom Exception filters in ASP.NET Web API to manage custom messages to be sent to the client application. Abstract: ASP.NET Web Forms isn’t dying anytime soon. This article discusses Web Forms role within the new Microsoft development ecosystem and introduces some of the new features available within Web Forms. Abstract: ServiceStack is an awesome stack of technologies built of top of ASP.NET that makes it easier to build and secure an end-to-end application. In this article, we will explore how to add Authentication and authorization, Bundling and minification and Markdown views to our application. Abstract: Use Angular.js forms with Bootstrap for creating responsive layout web applications with DataBinding. Compliment this application with ASP.NET Web API to post the form data to the database. Abstract: In this article, we will look at some of the approaches that you can take to make optimized and better performing ASP.NET web sites. Some of these principles can also be applied to websites created in a technology other than ASP.NET. Abstract: ServiceStack is a configuration free, code-first, light-weight framework built on top of ASP.NET for building services and web applications. This article will get you started with ServiceStack and also get your hands dirty with it. Abstract: Using ASP.NET Web API, MVC and Angular.js to create a Single Page Application (SPA) that supports CRUD operations. Abstract: In this article, we will design a Pie chart and Donut chart using D3.js by fetching the data using ASP.NET Web API. Abstract: The AngularJS framework provides some cool features for developing MVC based applications using HTML. In this article, we will use AngularJS and ASP.NET Web API to create an application that pulls data from a database and performs CRUD Operations. Abstract: Using D3.js and ASP.NET SignalR, in this article, you will build a basic real-time graphics chart application for the modern web. Abstract: ASP.NET provides state management techniques both on client as well as server-side. This article gives a brief overview of some state management techniques in ASP.NET. Abstract: Learn how using the FormView Web Server Control as a code generator for your ASP.NET forms production, can cut development time in half for most Forms. Abstract: Introduction of ASP.NET Web API before exploring custom Media Formatters in Web API and how to build one for ourselves. Abstract: This article introduces a database design pattern with a POC in ASP.NET, Ninject and Entity Framework that ensures data once inserted into the database is never lost, a must have for financial systems. Abstract: Some common questions that arise when seasoned WebForms developers tread in ASP.NET MVC, for the first time. It’s not an ASP.NET MVC vs. WebForms article, but rather focuses on what’s different and how. Abstract: Async and performance are often a considered to go hand in hand because performance is bracketed with scaling. Today we explore the differences and see how to best leverage async operations to gain performance and build an ASP.NET MVC Web API Application that scales better. Abstract: A quick look at how asynchronous support is permeating though the entire Web Stack in ASP.NET vNext and that includes WebForms too! Abstract: A quick peek at the new and shiny Security model in the upcoming ASP.NET vNext. We use the new Claims Based Authentication system and create a ASP.NET Web API 2.0 sample app that uses Twitter as the external Authentication Service. Abstract: Today we explore the Glimpse package that helps you look at the internal working of your ASP.NET Web Application, in the browser. Abstract: This article demonstrates OWIN and how we can host a SignalR based application using Katana (an OWIN implementation). Abstract: An introduction to Web API’s Custom Assembly Resolver feature that enables you to add Controller libraries dynamically at run time. To add some pizazz, we generate the entire Controller on the fly and see how we can access it from a Web API Client. Abstract: A walkthrough of how to sign up with MongoHQ to setup a MongoDB database and then connect to it from an ASP.NET Web API application. Abstract: This article gives us an overview of how to host Web API services without IIS using it’s built in Self Hosting capabilities. Along the way we build a plain vanilla html client to consume our service as well.